I got this black-and-white photo of the July moon over our house by converting the original color photo to monochrome. As seems always to be the case when I try to get a picture of the moon, the evening was cloudy. (I guess I should be happy that it wasn’t raining!) 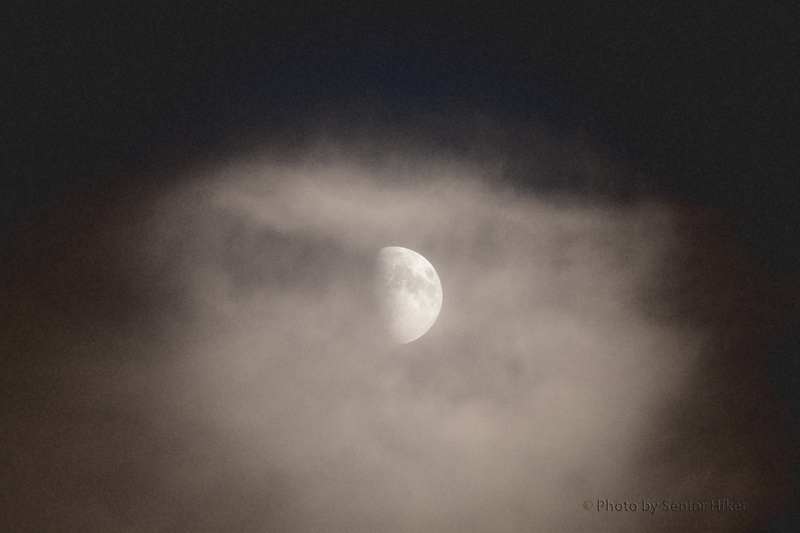 A black-and-white picture just seemed to make the moon a little clearer through the high clouds. This entry was posted on July 24, 2018 at 3:39 am and is filed under Sky. You can follow any responses to this entry through the RSS 2.0 feed. You can leave a response, or trackback from your own site. The clouds and monochrome give it a really moody look.I like that. Great photo. I am glad that You showed it. In Helsinki, we had cloudy sky (partly). Therefore, I do not have photos of it. Sigh.